Customer experience is a massive differentiator. But the best-crafted customer experiences demand a robust foundation of contact data that’s trusted, accurate, and authoritative. 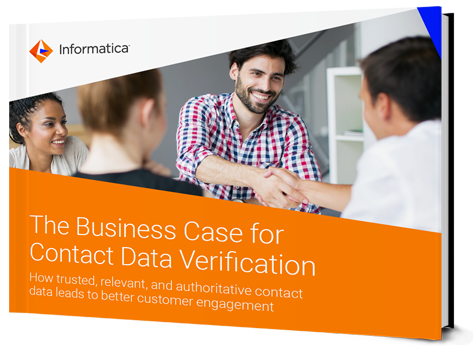 This eBook, The Business Case for Contact Data Verification, shows you why this is such a massive opportunity for every customer-facing department, as well as how to get the data confidence you need to create rewarding and relevant customer experiences. Unleash intelligent engagement and start crafting outstanding customer experiences that deliver real returns across your business. Please complete the form on this page to receive this ebook today.